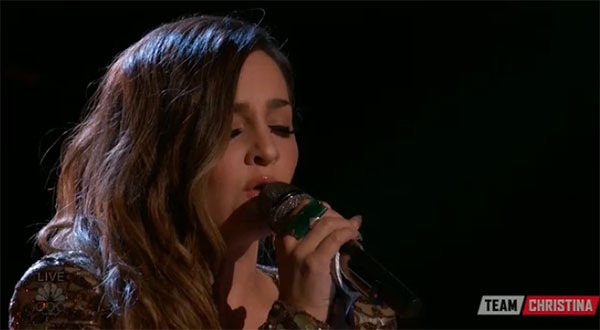 Alisan Porter from Team Christina sings ‘Somewhere’ on The Voice Season 10 Finale Top 4 live performance show on Monday, May 23, 2016. “I don’t know what to say. I just thin everybody knows how great you are. Congratulations,” said Adam Levine. “We started the journey during the auditions. I feel you. If anybody deserved to take the cake and be the winner of The Voice, it’s you Alisan,” said Christina Aguilera. Did you like Alisan Porter’s song cover? Share your thoughts and views on the comment section below.